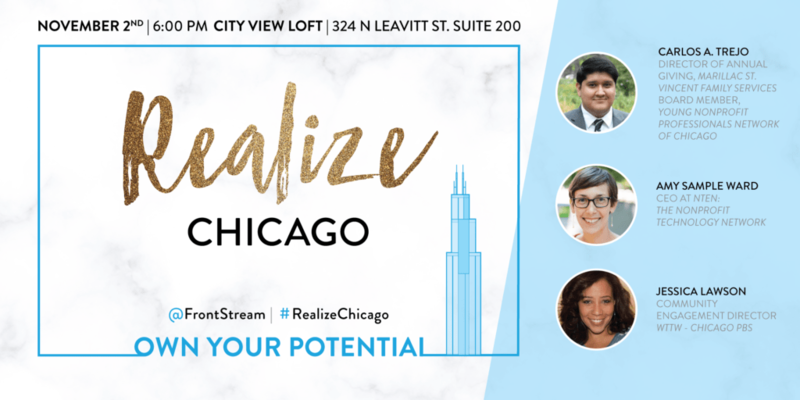 Realize Chicago is Nov 2nd and it's all about YOU! Realize Toronto was a smash hit - now it's your turn, Chicago! On November 2nd, we want to make sure nonprofit professionals in Chicago and the surrounding area are recognized for their hard work. That's why we're hosting Realize Chicago: An exclusive evening for people who work in the charitable sector to learn from each other! Tickets are free, but are going fast. Join us for a dynamic panel discussion with industry experts, special surprises, and plenty of networking time. Think of it as professional development for development professionals! Check out some of the pictures from our Realize Toronto event below. We can't wait to see you in Chicago!